Everything DiSC 363® for Leaders isn’t just any 360. It’s a dynamic 360-degree feedback and self-assessment tool that delivers 3 personalized development strategies for leaders to put into action immediately—a 360 + 3! Using multi-rater feedback and self-assessment, this program will help any leader—emerging high-potentials and experienced executives alike—incorporate critical feedback from direct reports, peers, and bosses into a development plan to increase their effectiveness. DISCOVER WHAT REALLY MATTERS MOST IN YOUR LEADERSHIP DEVELOPMENT RIGHT NOW! Everything DiSC 363® is supported by contemporary leadership research into the interpersonal characteristics of leaders. The result is Eight Approaches to Effective Leadership, an inclusive framework for identifying and evaluating the characteristics of effective leaders. 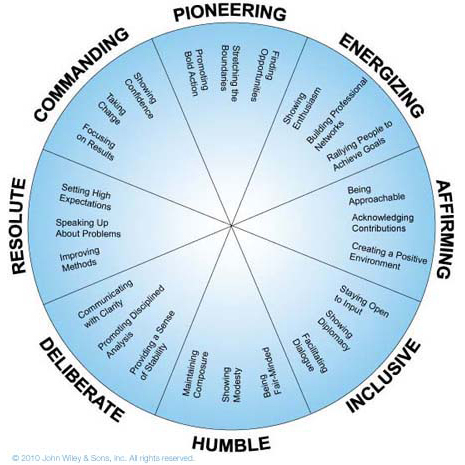 How your colleagues see you performing on each of these eight approaches. You’ll also see how your own self-ratings compare to those of your raters. Constructive feedback and concrete strategies for improving your leadership. HELP YOUR LEADERS ELEVATE THEIR EFFECTIVENESS. 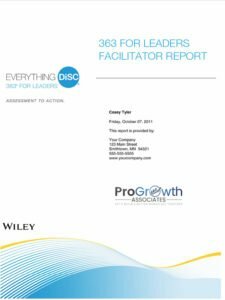 Whether coaching one-on-one or working with groups of leaders, this powerful development solution includes a set of resources, including step-by-step guidance to help you implement 363 for Leaders into your organization. and see firsthand the actionable feedback data you can get! From set-up to wrap-up for one or one-hundred leaders, we provide everything you need to get 363 up and running in your organization!